Copperbelt Province is the traditional epicentre of Zambia’s mining sector, where cities are branded by multinational corporations, surrounding countryside is denuded of forests, and industrial transport trucks congest inner-city roads. But a couple hours across the border with North-Western Province, the provincial capital of Solwezi is loudly expanding in a similar vein, and the morning rush-hour unveils the central player in this local sector development. First Quantum Minerals (FQM) has a prominent logo on many passing trucks and buses, and the overall-clad miners climbing aboard are bound for the company’s Kansanshi copper mine 10 km north of the city. Next year, when FQM’s nearby Sentinel mine goes into operation, its presence in Solwezi could be nearly ubiquitous. Part of FQM’s Trident development, Sentinel is the copper component of a three-mine project situated in the Musele Chiefdom, about two hours from Solwezi on the outer edge of the province near Angola. It’s expected to generate 300,000 tonnes of copper a year. 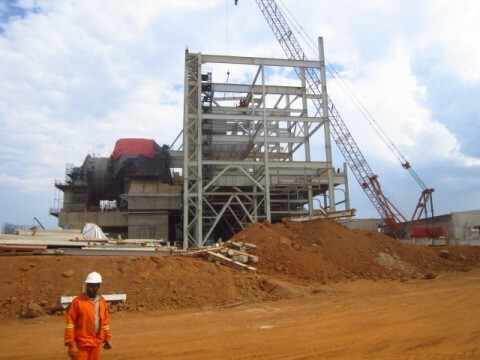 Add that to the approximately 400,000 tonnes Kansanshi is projected to produce after planned upgrades, and FQM’s North-Western projects will account for nearly half of Zambia’s 2015 national target of 1.5 million tonnes. However, despite the alluring numbers, the mine has upset a group of NGOs led by ActionAid Zambia and Musele Nkisu Taskforce (MNT). These organisations insist that vast tracks of land were illegally developed, that compensation for villagers is inadequate, that their relocation is illegal, and that FQM’s extensive mineral claims are a threat to the surface rights of the entire chiefdom. Countering these allegations, FQM management insists that its construction phase has been carried out in accordance with Zambia’s patchy legal framework, its resettlement and compensation plan outperforms national and international guidelines, and that MNT has been manipulating its presence to increase the personal fortunes of compromised community members. Meanwhile, the central government, while declining to speak to Think Africa Press, has broadcast a slew of mixed messages in the national media, vacillating between amity and enmity with FQM management. Now, with less than a year remaining of the construction phase, ActionAid is promoting its opposition campaign to international financiers, hoping to secure increased funding, while FQM invites dignitaries for site visits and tours busloads of journalists around Sentinel’s substantial infrastructure. Along with the majority of the world’s mining companies, FQM is headquartered in Canada and listed on the Toronto Stock Exchange, while maintaining a secondary listing in the UK. According to its 2012 annual report, it unearthed 307,115 tonnes of copper last year, 36,759 tonnes of nickel, and almost 202,000 ounces of gold. Mineral revenues came to over $2.9 billion and net earnings for shareholders $1.8 billion. With its $2 billion price tag, Sentinel is part of a transformative strategy that FQM hopes will definitively turn the page on the drama experienced in 2010, when the Democratic Republic of Congo’s government nationalised one of its mines. Despite the setback, that year’s rising copper prices helped boost the company’s bottom line to $2.4 billion from its 2009 tally of $1.9 billion, and shareholders were kept happy with a 35% increase in the year’s total dividend. Still, FQM’s 2011 operation-phase holdings were restricted to three countries, with development projects in the same number. Despite poor performance indicators in that year’s annual report, FQM continued a diversification strategy that led to the early-2013 takeover of Inmet Mining Corporation, producing a portfolio that comprises operation-phase mines in Zambia, Mauritania, Finland, Spain, Turkey, and Australia, as well as development-phase projects in Zambia, Panama, and Peru. It now mines copper, gold, nickel, platinum, and palladium. Projected to account for nearly half the company’s 2014 copper haul, Sentinel is a paramount concern in FQM’s diversification scheme. Part of the larger Trident project, which includes a nearby nickel mine called Enterprise and an exploration-phase deposit called Intrepid, FQM’s Musele Chiefdom project-lands add up to 518 square km. The Sentinel phase will mine low-grade copper, requiring 55 million tonnes of ore to be crushed every year, first in an open pit and then again in a series of mills, before a chemical process separates the copper for shipment to a new smelter in Kansanshi. Trident also requires huge tracts of land for tailings pipelines and storage units, waste rock dumps, roads, power lines, a processing plant, dams on the Chisola and Musangezhi Rivers, an open pit 6 km long and 1 km wide, and 5,000 hectares of clear-cut indigenous woodlands, small parcels of which are categorised as protected forest areas. FQM says the completed construction phase will have employed 2,940 Zambians, of which 1,750 are from North-Western Province, and 750 from the immediate area. At the same time, however, 570 families will be displaced to two resettlement areas, one quasi-urban site outside a new town the company is constructing, and the other agricultural-rural. Among those families are 1,400 farmers with 787 hectares of crops, 100 beekeepers, and 17 cattle herders. Also in the path of the development are homes, a school, water sources, churches, sports fields, and a market place, all of which FQM says it is building to higher standards in resettlement zones. Large and complicated, the numbers represent some of the biggest sector development since Zambia Consolidated Copper Mines was privatised in the late 1990s. Much of Musele Chiefdom is unpaved roads ranging through a smattering of villages. Huge termite mounds loom out of a forest caked with the ubiquitous red dust that characterises Zambia’s scorching dry season, and here and there locals bake the mixture of wood and earth into building blocks. At night, campfires flicker between the trees and the occasional commercial venture hums away on generator power. FQM has mining rights in excess of 900 square km, and MNT worries the company’s long-term plan is to unearth the entire chiefdom, all of which is classified as customary land. They point to a confusing process of acquisition that all sides acknowledge has yet to award FQM surface rights, even for the 518 square km parcel the company has been building on. The dispute dates back to July 2011 when Felex Muzeya, formally known as Chief Musele, entered into land negotiations with FQM. According to an unsigned agreement between Muzeya and FQM, an initial ask of 750 square km was turned down, but the smaller parcel would have been exchanged for a $259,000 payment to the chief, 80% of which would have been transferred after surface rights were confirmed. The agreement also sketched out FQM’s compensation and resettlement commitments. FQM’s initial environmental impact assessment (EIA) was approved that same year. At the time, only Musangezhi River was targeted for damming, though subsequent drilling in Enterprise revealed economically viable amounts of nickel. The team returned to the drawing board and decided to shift its tailing storage and dam the Chisola River to increase its water supply. This touched off new environmental and resettlement implications. On 14 February, 2013, FQM submitted an EIA addendum outlining impacts of the new dam. On this same date, a ministerial task force convened and determined that Zambia’s Lands Act forbids any chief from selling more than 250 hectares. All agreements, the committee found, were null and void and the acquisition process would have to start fresh and be approved by the president. However, FQM’s legal team considers the approved EIA and its mining rights as license to build. Once the Zambia Environmental Management Agency (ZEMA) missed the 90-day statutory review period to comment on the Chisola addendum, the company also developed a legal opinion clearing it for dam construction. Both ZEMA and the Ministry of Lands declined to make officials available for interviews with Think Africa Press. Although the Ministry of Mines declined to be interviewed, FQM points to Section 29 of the 2008 Mines and Minerals Development Act, which permits license-holders to pursue mining activities, including the construction of equipment and infrastructure. While FQM sorely wants surface rights for the town it’s building, it maintains they aren’t required for mining operations. MNT remains outraged that FQM took a backdoor to acquisition, targeting the chief directly rather than approaching government. But FQM says it approached the Zambia Development Agency and was subsequently directed to the Royal Palace. Third-party observers like Centre for Trade Policy and Development are surprised a company of FQM’s size and international experience didn’t conduct a legal review of the country’s land legislation. Indeed, while FQM undertook a full review of Zambia’s resettlement and compensation laws, Gladston says he didn’t know about the chief’s sales capacity until the ministerial committee arrived in February. That committee turned out to be the least of FQM’s worries in 2013. ZEMA undertook a site visit and slapped a protection order on the Chisola dam, halting construction and, according to Gladston, threatening the company’s operation-phase profits with delays projected to cost $4 million a day. ActionAid says FQM continued construction while the protection order was in place, but the company denies that allegation. In the run-up to the order, reports surfaced of cattle-grazing in the inundation area. After ZEMA interfered, Lappeman launched a survey of herdsmen and their cattle. He says that once aware of the coming compensation, many herdsmen began leading their cattle into the inundation area in the hopes of exploiting the opportunity. Meanwhile, because part of the inundation will encroach onto 6% of Bushingwe forest, the company says it engaged Zambia’s forestry department to have the tract de-gazetted and compensated for, in addition to its efforts to add additional legal protection to 134,850 hectares of both Bushingwe and Lualaba forests. Another factor contributing to the protection order, according to Lappeman, was that ZEMA asked FQM to undertake a strategic environmental assessment because of a nearby hydroelectric development undertaken by a separate company. FQM countered that regional studies are government’s responsibility. Gladston says FQM paid a private visit to government to notify it of 500 pending layoffs, and that information made its way into the press. While ZEMA subsequently lifted the protection order after approving the EIA addendum, a lot of people in the NGO sector think the company blackmailed government. FQM flatly denies this, saying the layoffs were simple economics that luckily didn’t come to pass. At the same time, Gladston acknowledges the move might’ve pressured officials. Either way, the order was lifted in August 2013. But ZEMA’s approval came with stipulations, one of which drove the whole issue right back to the question of surface rights. The first of over a dozen conditions required the company to “implement the project only after matters relating to surface rights have been concluded with government”. Legal explanations have not satisfied members of affected communities, the majority of which will not receive construction-phase employment and have to be content with compensation. In an effort to showcase its activism to members of the global ActionAid family, the Zambian chapter organised a series of meetings with donors, local government, and villagers in displacement zones. On 8 October, hundreds of people from Wanyinwa and Kankonzhi villages gathered to air grievances to Muzeya, who attended in his official role as chief. Speaking through an MNT translator in Wanyinwa, Nebby Sumbukeni said the company needs to provide skills training in case he loses his job. Jowas Chiyena encouraged NGOs to go forward with litigation over land irregularities. Queen Yona said no amount of compensation will displace her from her ancestral land. The community presented Think Africa Press with an agenda saying its members refuse compensation of $200, are being forced into new houses without official approval, and are prepared to die in the village if government doesn’t approve resettlement. Villagers in Kankonzhi echoed those emotions. Also speaking through an MNT translator, community chairperson Maxwell Kapoya said villagers will destroy new infrastructure if the land issue isn’t resolved. He added that the villagers don’t need titles to claim customary lands because their parents buried their umbilical cords in the ground after birth, a remark that sparked sustained applause. Muzeya encouraged NGOs to visit more often and reassured villagers that he hasn’t signed over any land. FQM has taken issue with the chief’s character, noting that he’s involved in construction business arrangements with the company and that he’s received personal compensation. Most egregiously, the company says it had to remove from his control an early-stages employment recruitment database for locals after community members reported being charged money and manual labour in exchange for ranking. But Muzeya rejects these claims. Muzeya says he received roughly $200,000 in compensation, but underlines his extensive holdings of cattle, farmland, and structural property. He further accuses FQM of destroying some of his animals. The company admits that two heads of cattle were stolen and butchered, but says it looked after his livestock for 22 months and compensated him with an additional 86 cows, 30 sheep, 53 goats, and 20 pigs. The tension between FQM and the chief extends to MNT as well. The company believes MNT members are on the payroll of NGOs who want to keep problems in the press to guarantee continued funds from donors. Lappeman says no MNT members are legitimately within displacement areas and some have approached him looking for consultancy jobs. MNT vice-chairperson Morris Sankisa admits that the latter allegation is possible, because the area’s residents are mired in poverty, but refutes FQM’s position that the development doesn’t impact its membership. “What the mine has done in the Musele Chiefdom is it has disturbed everyone’s life,” he says, itemising a long list of impacts felt throughout the chiefdom, from the congested schools and roads that come with increased population density, to the influx of thieves and prostitutes drawn to economic development zones. Sankisa adds that MNT previously had members in Wanyinwa, but FQM won them over with construction-phase contracts. Meanwhile, NGOs recall that FQM holds 16.9% shares in Glencore’s Mopani mine, which in 2011 was the subject of a leaked audit which suggested a tax evasion strategy that overstated operating costs and understated profits, claims Glencore denies. Although Gladston initially told Think Africa Press he would get FQM’s upper echelons to comment on the scandal, he subsequently settled for noting that the company’s shares are too small to give it management input. He does note, however, that FQM’s 2011 operations provided 21% of Zambia’s tax base. FQM collates its official numbers for the Extractive Industry Transparency Initiative, which last reported on the 2010 fiscal year. During that year, FQM says its contributions accounted for 10% of Zambia’s tax base. According to the company’s 2012 annual report, meanwhile, it spent $38 million on corporate social responsibility, or 7% of net profits, and over half of that went to Zambia. But pan back from the chiefdom to Solwezi, and local government is also bitter about FQM’s presence in the province. With central government running the show and operating in a silo, members of the district and provincial -administrations complain about information blackouts, especially regarding the issue of land. FQM says it’s pursuing surface rights with President Michael Sata because they’re crucial in the establishment of its new township. The company envisions 10,000 homes and 50,000 residents in a town based on land titles for homeowners and private commercial investment by Zambian businesspeople. Located near the quasi-urban resettlement zone, it offers a platform for resettled villagers keen to leave behind agricultural livelihoods. At the same time, it offers a market for agricultural-zone villagers taking advantage of the company’s conservation farming scheme. The town plan was approved by Solwezi council in March 2012, and ZEMA approved the EIA in August 2013. FQM has built 600 homes and plans to build 1,700 in total, but without surface rights it can’t transfer the properties into its rent-to-own scheme and will not build more until they’re awarded, thereby increasing the likelihood of informal settlements with related social and environmental fallouts. On 9 October, Zambia’s independence era president Kenneth Kaunda visited the site. Dressed in a brown suit and waving his customary white kerchief, the stooped 89-year-old toured infrastructure and watched slideshows outlining project plans and compensation packages, with presenters underscoring the need for surface rights. Thanking God for the project, Kaunda promised to confer with Sata when he returned to Lusaka the following day. “What’s happening here, if it can be followed in all corners of this country, development will be wonderful,” he said. His comments led to an expression of disappointment from ActionAid and insinuations from MNT that Kaunda is a shareholder in the project because FQM country manager Kingsley Chinkuli married into the Kaunda family. In fact, corrects the company, brushing off the shareholding allegation, Chinkuli’s connection with Kaunda dates back to the latter’s long era in government. Kaunda’s endorsement aside, the issue of compensation isn’t going away, and several stakeholders have intimated violence, including Likando, who told ActionAid things could become dire enough that Westerners would be attacked in Solwezi because residents will assume they’re part of corrupt mining firms. FQM is at pains to explain its resettlement and compensation scheme, promising sheaves of reports and documents to journalists and activists who ask. It values resettlement and community commitment at $23 million, nearly half of which is earmarked for resettlement alone. While MNT says cash payments have been meagre and new structures substandard, FQM says its new homes expand on original sizes by an average of 40%. Secondary structures and crops are being compensated for with cash payments and money management courses. Community programs include HIV/AIDS and malaria awareness campaigns, as well as job training. The company has also extended disturbance allowances to farmers and business owners and is building new community infrastructure. The new school replacing the one in Wanyinwa village is a favourite example, with the original containing one classroom block, four staff accommodations, four latrines, and two sports fields, while the new one doubles all components except for the sports fields, which remain at two. The problem is FQM’s resettlement plan has not been approved by ZEMA two years after submission. Still, the company says 70 families in the path of critical infrastructure “voluntarily” relocated when it presented them with keys to their new homes, proving villagers are pleased with the package. MNT says the relocation was “forced” because residents are too anxious to live with construction work on their doorsteps. MNT also argues that villagers would not have signed compensation and relocation agreements without duress, because their literacy skills are too poor to understand contractual language. FQM’s own socio-economic report revealed an 89% illiteracy rate. During Kaunda’s site visit, management took him to the rural resettlement area, where farmers are participating in FQM’s conservation crops scheme, which trains them in high-yield practices, loans them inputs, and aims to phase out subsidy-reliance over the period of a few years. When Kaunda emerged from the vehicle, swarms of people gathered around him, singing, chanting, and shouting his name. Speaking through an FQM translator, Paulin Mulela said the programme hasn’t been that effective because he hasn’t been successful in increasing his yields. Maize farmer Joyce Puta said there’s a clear difference between her current situation and her old life. Sub-chief Davis Kijila said he’s happy with his compensation but is frustrated waiting for his new house. However mixed, testimonies like that do not sway MNT, who say FQM recruits for its programmes based on criteria of company loyalty. Meanwhile all sides feel like the central government in Lusaka, despite its pivotal role in sector development, has left them to sort it out alone. The initial deal was struck at the close of the Movement for Multiparty Democracy rule in 2011, and there’s speculation the new Patriotic Front government, while desperate to bolster its jobs numbers, wants to carefully review business created by its prime political adversary. Without a strong presence from Lusaka, investors, activists, villagers and local government are caught up in a framework of competing legislations and agency recommendations.